Our ambassador Sinéad Kane is a post-doctorate PhD solicitor, certified mediator, ultra-marathon runner, 2-time Guinness World Record Holder and keynote speaker. She has an impressive list of achievements, but to top it all off, Sinéad has achieved all of them with only 5% vision. Sinéad has 5 optical condition including Aniridia. Where most people see blindness as a type of darkness, she lacks irises and her eyes take in to much light. Everything to her looks white, like snow blindness. Sinéad was born in a small town in West Cork and grew up with her disability. She’s never been the type to let it slow her down, and in the Irish running scene she is serious competition for other runners. In 2017 Sinéad (along with guide runner John O’Regan) completed The Word Marathon Challenge. She ran 7 Marathons on 7 continents in 7 days- or 6 days, 9 hours and 25 minutes if you want to split hairs. She chased that world record up with another in February 2018. This time she ran a whopping 130.5km on a treadmill in 12 hours. The furthest any female athlete has ever gone in that timeframe. Hobbies: Running and keeping fit. Favourite Pieces of Kit: Garmin Forerunner 645 & her Columbia Down Jacket as she likes her comfort. Advice for Beginners: Don’t compare your own fitness or skill set with that of others. If you enjoy doing what you are doing then do it. Goals: To set the bar higher and achieve more. 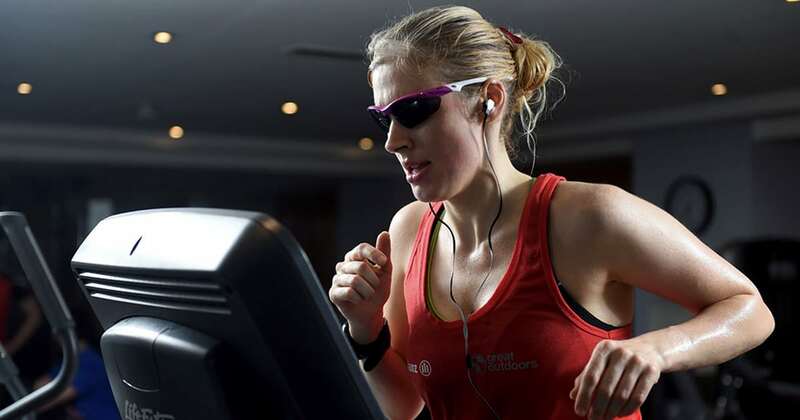 -Record Holder: First blind female to complete a marathon on every continent in 7 days. Where to follow her: Twitter @KaneSinead & @blindrunner777 Instagram, or her Website.